The publisher is both a doctor of medicine and a lawyer. He finished his medical degree at Southwestern University-Matias H. Aznar Memorial College of Medicine (SWU-MHAMCM), Cebu City and placed 5th in the February 1990 medical board examination. He was President of SWU Supreme Student Government from 1984-1988 and awarded as one of the Top Ten National Student Leaders for 1985 by the Philippine Asean Youth Leadership Educational Foundation (PAYLEF) and the Ministry of Education, Culture and Sports (MECS). From his preparatory medicine course to medicine proper, he was a national state scholar under the MECS program. He had his master’s degree in Hospital Administration at UP-College of Public Health, Manila, in 1994 and passed the 2000 bar examination after finishing his law degree in the same year. He was co-chairman of the Regional Management and Health Workers Consultative Council (RMHCC) in Bicol. The Council was responsible for resolving some issues on Magna Carta benefits for public health workers in the region. At present, he is the Chief of Regulation, Licensing and Enforcement Division (RLED) at Department of Health-Regional Office no. 5, Legazpi City. 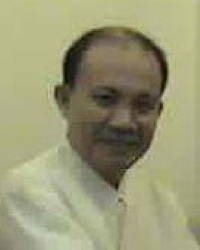 He was a two-terms National President of the Philippine Public Health Association (PPHA). You may click his other sites as follows: www.wordatthenet.com, www.aaphil01.wordpress.com, www.aaphil04.wordpress.com and twelve (12) other blogger.com sites.